First, let's break down the term "natural". It's important to know that the term "natural" is an un-regulated term, meaning there's no official body to oversee its use the way there is for the term "organic". What this means is that it's much easier for people to use the term "natural" to describe their products. And there's no real scrutiny for exactly how natural the product is, as well as what they consider the term to even mean in relation to their products. From a consumer's standpoint, this means you've got to be super on top of it when it comes to picking out natural skincare products to use. To help with that, it's a good idea to educate yourself a little bit on what ingredients you want to avoid, since they could still be in the "natural" formulations you would otherwise buy. This doesn't mean you need to become an expert in chemistry or anything. You just need to be aware of what exactly you're both trying to avoid and include in your skincare regimen when choosing natural products. Along with some education around ingredients, you'll most likely want to do some brand research too. This could even include trying out different products (which can be fun)! Some brands have a much stronger reputation for product quality and integrity than others, so don't let branding alone fool you. Ask questions. Look into the company's quality standards and commitments. For example, at RainShadow Labs everything is cruelty free, made with organic and natural ingredients, and free from nano ingredients. As you now know, simply stating a product is "natural" just isn't good enough anymore. You need to be able to recognize a lot of those ingredients on there (hint: they should be plants). And absolutely stay away from petroleum derived ingredients. Your skin has zero need for them and they don't do anything for you that a real plant oil can't do better. So, read those ingredient decks! And if a product doesn't feel good or is irritating, don't feel like you have to use it just because it says it's natural. Throw it out and find something better. Now, you may be wondering how natural private label skincare products could be better if the term isn't even regulated?! Well, skincare as a whole is a rather loosely regulated industry, which means that if you aren't buying from companies and brands that have an express commitment to using natural and organic ingredients, you really don't know what you're getting. As long as the coloring agents they use are FDA approved, their products are otherwise considered to be good to go. Natural private label skincare products, on the other hand, contain ingredients that are derived from things like plants, vs. synthetic chemicals and petroleum. This means that, if properly formulated and of good quality, your skin will have a much easier time utilizing all the ingredients meant to help it do its thing. And while it might seem pretty obvious that things like plant extracts should be on the ingredient decks of natural products, those aren't the only actives you want to look out for. Hyaluronic acid is one of the most popular and sought after skincare ingredients in the world today. People love it. And for good reason. It quickly plumps and soothes the skin, blessing all who apply it with a dewy and firm complexion. It has the effect of being hydrating and firming at the same time. And its results work fast. Naturally, it's a big hit in both natural and synthetic skincare formulations. But like most ingredients, not all hyaluronic acids are created equal. 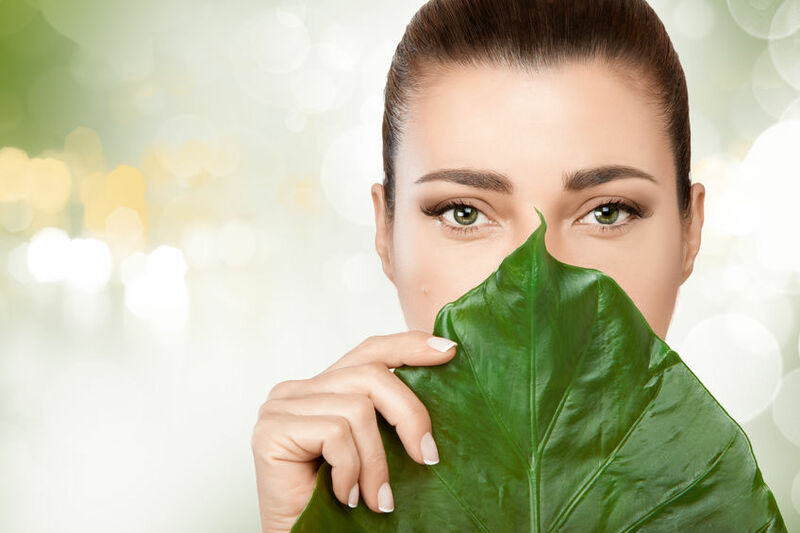 When looking for your natural, hyaluronic acid filled skincare, it's important to make sure that it's from a botanical source. Hyaluronic acid can be sourced from animal products like rooster combs. While some people may not care about that, the reality is that animal based products have more cleanliness and purity concerns than their plant based counterparts. Ethics are another factor that come into play here. Why bother with an ingredient from an animal that has an equal, if not better alternative? In this case that alternative is botanical hyaluronic acid, and it's the only hyaluronic acid we use in our products. There are a few different plants used for it, all of which are fine. What matters is that they're cruelty free, clean and fantastically effective. Another popular ingredient for anti aging skincare these days is amino acids. Specifically silk amino acids. They're used in private label skincare formulas to help with collagen production, texture and firmness issues. And like their name implies, they're derived from silk. Or rather, silk worms. While some may not think of silk worms as being an animal the same way they might think of a cow or dog, the reality is that silk amino acid proteins from silk worms are considered an animal based product. And that means they aren't vegan. And technically also not cruelty free. As the natural and organic products industry continues to grow, so too does the demand for vegan and cruelty free products. So, it only makes sense for natural products to also be cruelty free. And when it comes to amino acids, the solution is easy! Here at RainShadow we use an amino acid blend derived from a natural fermentation process on a botanical substrate like molasses. It's totally effective, clean, and not from questionable animal sources. In a word, yes, natural products really are worth it. But because of things like lax industry regulations, it's important to do some homework so you know what to look out for when choosing your own natural skincare. Get to know what brands are out there and what ingredients you want to avoid, as well as what ingredient upgrades to choose as well. When all else fails and you're not quite sure what to start looking for, just make sure there's no petroleum products, no animal products, and lots of wonderful plants.